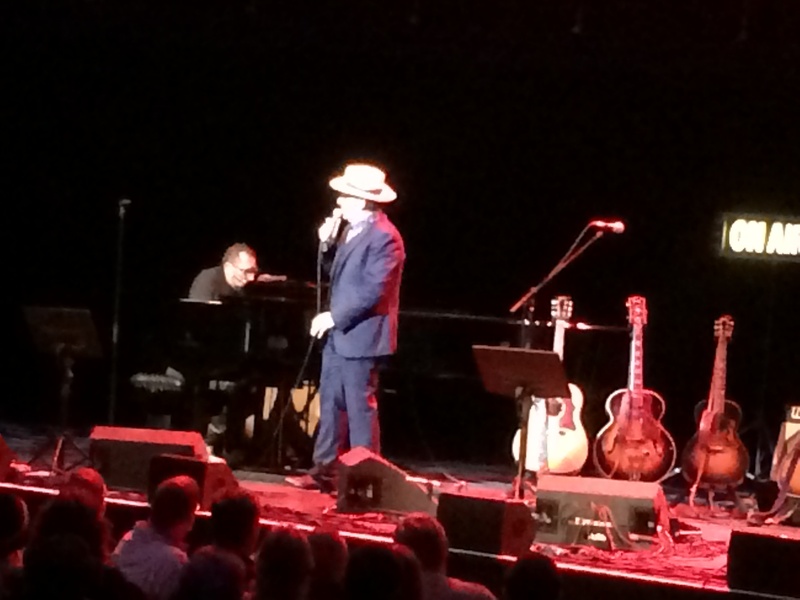 Last Wednesday I went along to the to the Royal Albert Hall to see Elvis Costello, supported by Georgie Fame and the Blue Flames. It was part of a Blues festival that week, not that I’ve ever associated Elvis with the blues, although his association with American country and rock’n’roll music and his flirtations with bar room torch songs takes him there in spirit. 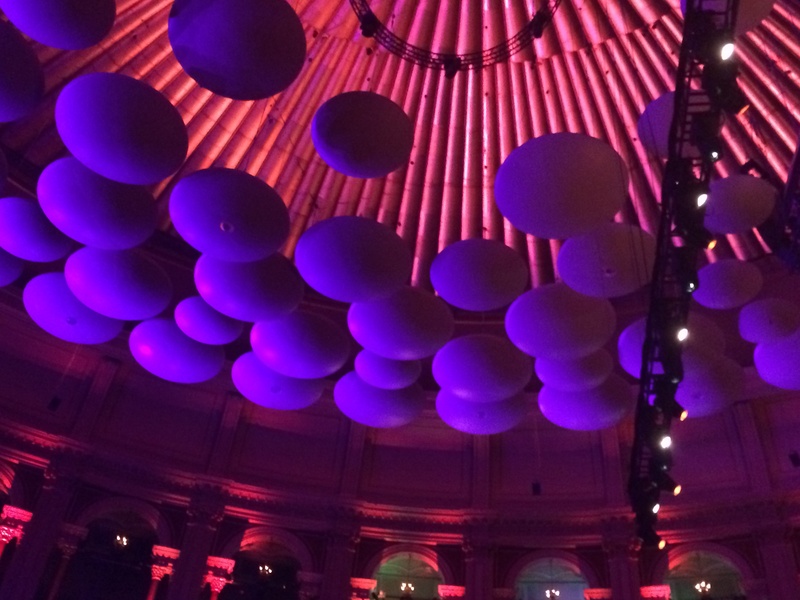 Love the Albert Hall roof! I’ve been a fan of Elvis since the very beginning, when he was on the Stiff label and released his first album, “My Name Is True”, in 1977. I think I’ve seen him live more than any other artist, the first time being Finsbury Park Rainbow in 1981, when he was still an angry young man and was promoting one of his finest albums, “Trust”. So it was great to renew the acquaintance, after a few years without seeing him. Georgie Fame made his name in the sixties, when his make of rhythm’n’blues and jazz was at the height of its popularity. He had a couple of No1 hit singles, including the latin jazz beat of “Yeh Yeh”, which he played on Wednesday. He’s carried on playing music, collaborating with all sorts of people, including Van Morrison, and I have to say, was very impressive. He had members of his old band, the Blue Flames with him – the playing was as you’d expect – slick, real quality. My highlight was their extended rendition of Van Morrison’s “Moondance”, with great trumpet, sax and guitar solos. I loved the sounds – including an amazing solo in one of the earlier songs – from the xylophone too. Classic sixties jazz style. Georgie is now in his seventies. He looked spruce and his voice was excellent. He still seemed to have the range. 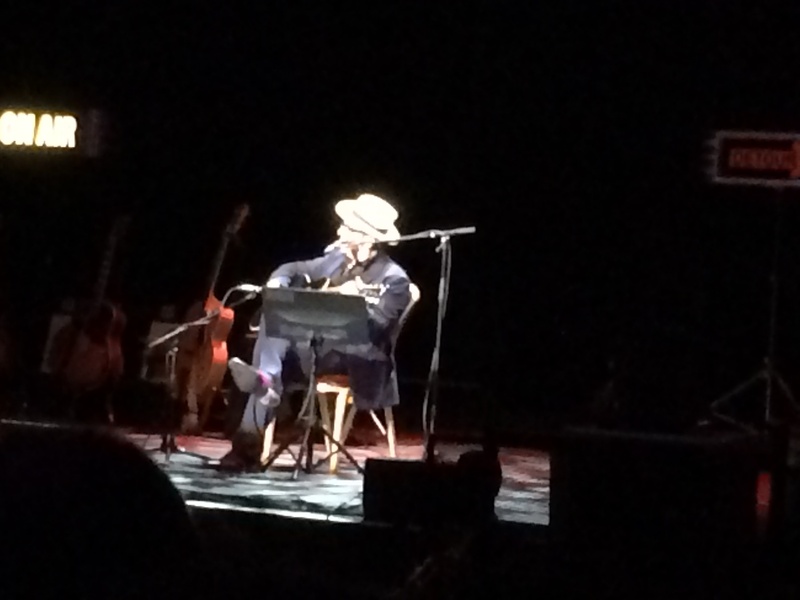 He told a good story too – humorous, but also full of respect for fellow artists and full of passion for the music. I thought to myself, I hope I’m in that good shape when I’m that age. It occurred to me that a life in music – despite the temptations – keeps you young. In mind for sure, and maybe the body follows. Elvis came on to sing with Georgie at the end, and Georgie returned the compliment during Elvis’s set. Elvis’s show was billed as a solo performance, but in fact he was accompanied by old accomplice Steve Nieve on piano for the first part of the show and some of the closing numbers. One of the things I’ve always liked about Elvis live his the way he reinterprets his songs. Reconstructs them at times. And he has such an extensive back catalogue that you never know what he will come up with next. It’s why he is always worth seeing. You’ll be able to celebrate a few old favourites, yes, but he’ll keep you on your toes as a listener. You’ll stay intrigued. It was certainly like that, especially in that opening section with Steve Nieve. If my scrawled notes are correct, the sequence went: Accidents Will Happen – Shot By His Own Gun – Pills and Soap – I Don’t Want To Go To Chelsea- London’s Brilliant Parade – Almost Blue. Elvis Classics, every one. With just Elvis’s guitar to accompany him, Steve Nieve let rip with all sorts of piano grandiosity, really adding to the dramatic content of the likes of “Shot By His Own Gun” and “Pills And Soap”.”I Don’t Want To Go To Chelsea”, which is a song that Elvis has always played around with, came out almost as a piece of cabaret this time. And I loved the way the two of them tackled “Almost Blue”, with Elvis on the piano and Steve on the melodica, an instrument that always puts me in mind of Augustus Pablo’s dub reggae sound. Elvis was in good voice – though my friend Steve thought he’d lost a bit of range – and very good spirits. 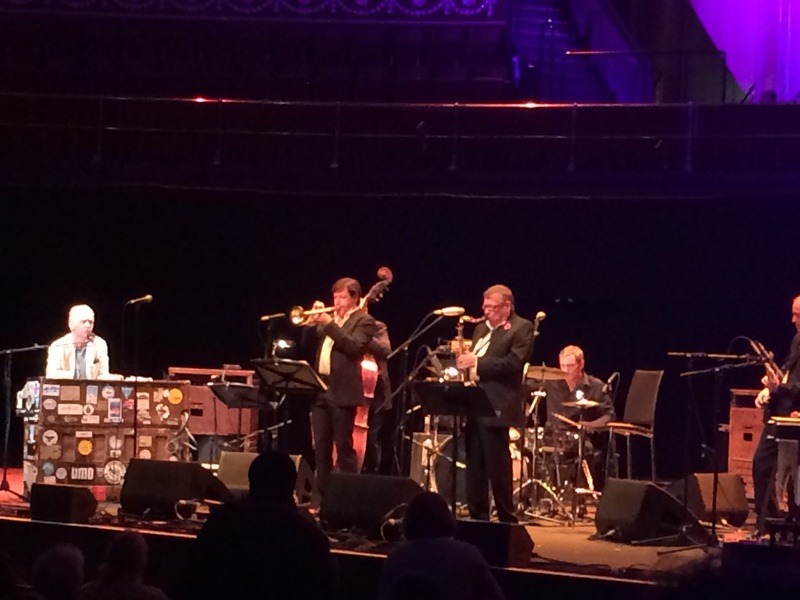 Like Georgie Fame, he told a good story, which added to the feel good vibe of the evening. In the solo session he worked his way through a few more old favourites like “Every Day I Write The Book” and “Good Year For The Roses”, “When I Was Cruel”, “45” and a few country/blues pieces which were unfamiliar to me, but could easily have been on his most recent albums, which I’ve not paid proper attention to. “The Delivery Man” is the last one I gave my full attention and I’m now reminded that it came out ten years ago! Steve Nieve came back for the encore and the two of them rattled through “Ship Building”, “Oliver’s Army” and “What’s So Funny About Peace, Love And Understanding”. Unlike the earlier session, they were all played pretty straight. I think they were running out of time, because the roadie brought an electric guitar on stage and it wasn’t used. I suspect we missed out on something like “Pump It Up” given the popularity of the other choices. And then Elvis ended the show with a vocal without a microphone. Elvis completely unplugged. The song was “I Couldn’t Call It Unexpected #4” from “Mighty Like A Rose”. Not exactly one of his hits. Oh well, I did say you never know what to expect from Elvis. And it did have a rousing air to it – if you could hear him. (Which I could). A perverse twist to end the evening. Especially if he had run out of time for “Pump It Up”! But that’s one of the reasons we love Elvis…. 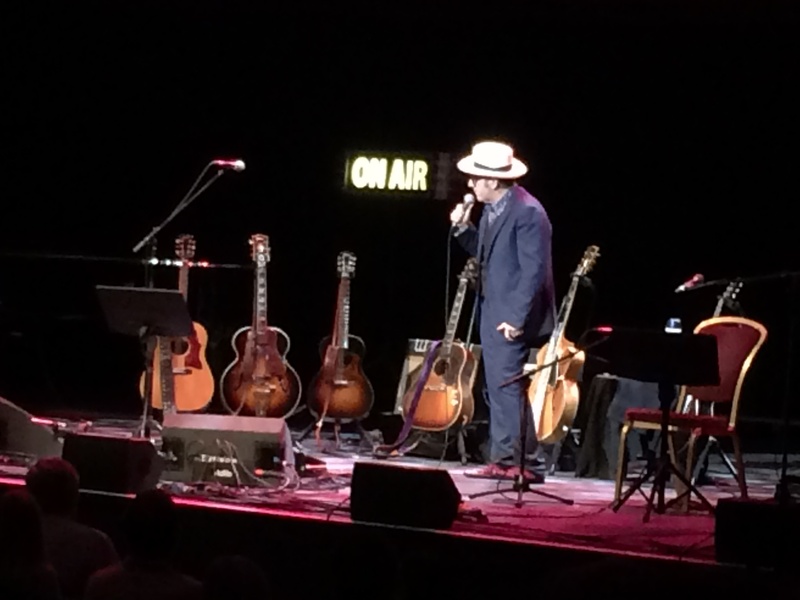 This entry was posted in Music - concerts, lists, reflections and tagged Blues Fest London, Elvis Costello, Georgie Fame, music, Royal Albert Hall. Bookmark the permalink. 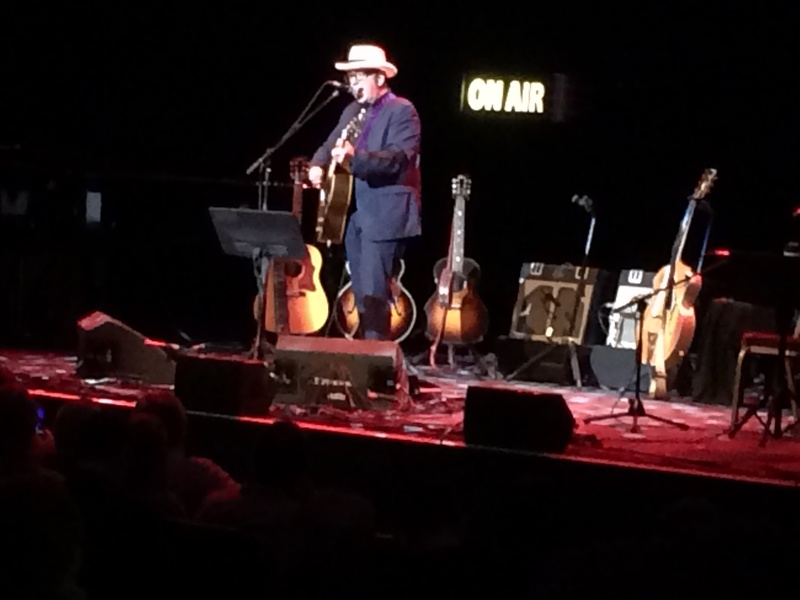 For no obvious reason I’ve never heard Elvis Costello although his music has come highly recommended by many of my friends. Maybe it’s time I did. Wow! i’m surprised. There’s a good compilation called “Best of the first ten years” on iTunes – released in 2007. There are one or two glaring omissions, but it’s a decent attempt to sum up his early career, when he made his best music. There are so many great albums, but for what it’s worth, “This Year’s Model”, “Trust” and “Get Happy” are my top three. Thanks, John! Will check these out. georgie fame is a legend- very enjoyable live as you say. I guess you may have seen him at Ronnie scott’s. Steve did, quite recently, and said he was excellent. Not one of my faves but I do like Elvis. England seems to have a much more fertile and reverent music scene. It seems if we get a great older act here in Toronto one has to pack into the Air Canada Center or drive 3 hours up to Casino Rama! Last concert I saw was in late summer…. Drake at the Molson Amphitheatre and there were way too many people!